Dubai, UAE, October 31, 2018: The much anticipated premiere of “The Open Road,” the first FOX Original Productions from the Middle East, an edgy new travel series starring two Arab women bikers riding on their own across UAE, Lebanon and Jordan, lands on your preferred screen on October 13. It will premiere simultaneously on an unprecedented line up of 11 channels across the region with simulcast on Facebook and YouTube. Unhindered by the limitations of four wheels, the trailblazing stars of the show, Chantal from the UAE and Pamela from Lebanon, break social and cultural barriers with a life-changing journey that creates, tests and deepens friendships. 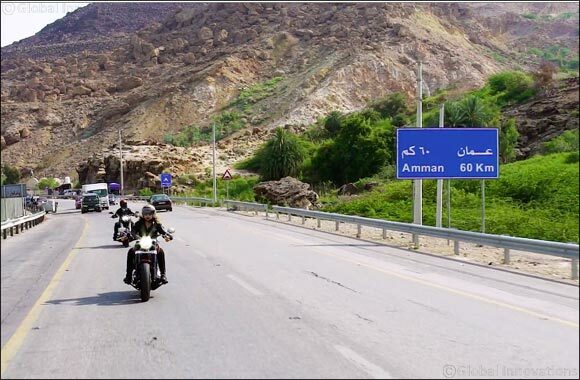 In Season 1, the two women ride across areas of the UAE, Lebanon and Jordan that most viewers would not have known existed. We see them taking in jaw-dropping vistas, tasting authentic local cuisines, and taking part in death-defying experiences. As much as the series is about travel and exploration, it is also focused on the social interactions of Chantal and Pamela with the people in each country, including the biking community and locals they meet along the way. “The Open Road” first season premieres October 13, 2018 at 20:00 UAE / 19:00 KSA on the following 11 channels: FOX, FOX Life, FOX Rewayat, FOX Family, FOX Crime, FOX Movies, FX, Fox Action , and on National Geographic Abu Dhabi as well as on Star Movies and Star World. The Premiere will also be simulcast on Facebook and YouTube. Viewers can catch subsequent episodes weekly on FOX Life, FOX Rewayat, National Geographic Abu Dhabi and Star World.